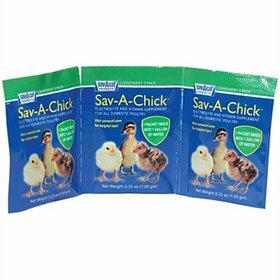 Save on these best-selling favorite flock care products with this combo pack from Sav-A-Chick®. 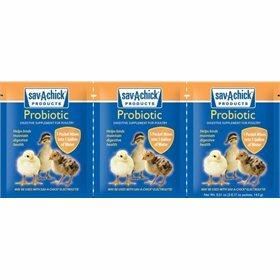 Designed for poultry of all ages, this includes 3 packets of Sav-A-Chick® Electrolyte and Vitamin supplement, and 3 packets of Sav-A-Chick® Probiotic supplement. 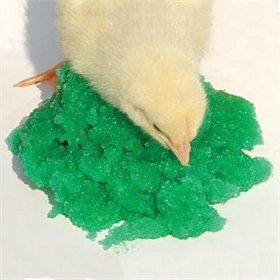 Use during times of stress, after a molt, during excessively hot days, or a change of season! 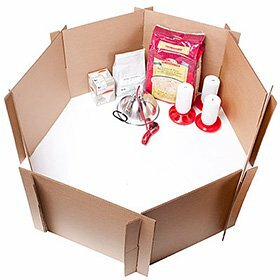 Offer 3 days per month to reduce pathogens in the birds’ environment and to assist in digestive health. Electrolytes help beneficial bacteria (probiotics) grow in the digestive tract. Probiotics help optimize egg-laying and aid in digestive health. .17 ounce per packet; 3 packets of each type included. Electrolytes Ingredients: Potassium choloride, sodium citrate, sodium bicarbonate, salt, vitamin D3 supplement, ascorbic acid, Vitamin A supplement, vitamin E supplement, niacin supplement (Vitamin B3), magnesium sulfate, calcium pantothenate (vitamin B5), folic acid (Vitamin B9), menadione sodium bisulfite complex (vitamin K), vitamin B12 supplement, riboflavin supplement (vitamin B2), pyridoxine hydrochloride (vitamin B6), thiamine mononitrate (vitamin B1), artificial color, silicon dioxide.